Auditions are open for 2013 Peirce Idol! Prizes for all entrants! Peirce Idol. Will you be the 2013 singer? If you love to sing, want to represent your school, and would love to own a brand-new iPad mini, come out and audition to be Peirce College's 2013 Peirce Idol. 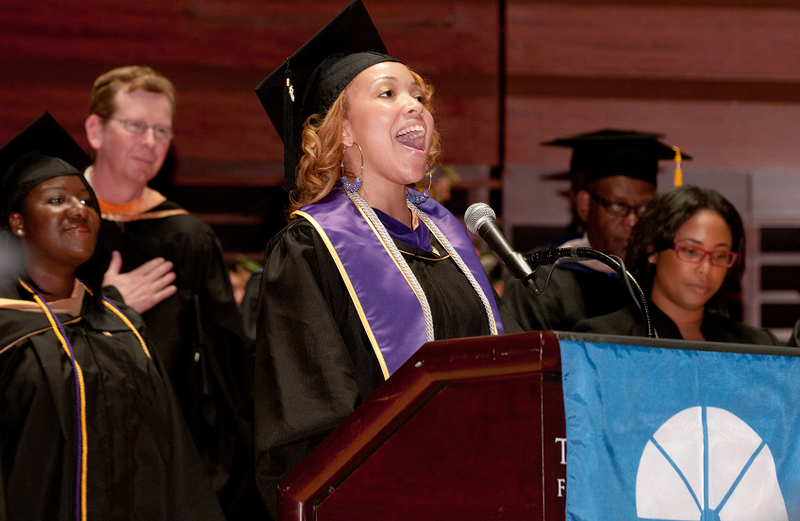 We're selecting one lucky student from our student body to sing the national anthem at this year's Commencement ceremony on June 10, and can't wait to see who comes out to auditions. It's easy to set up your timeslot. Just email your name and phone number to us, and we'll set up your audition on Wednesday, April 24. You'll sing before a panel of judges composed of Peirce faculty and staff. We'll also be recording tryouts so that your peers can watch, listen, and vote to choose their 2013 Peirce Idol for Commencement. Everyone who auditions will receive a Peirce prize pack and a $10 gift card to Starbucks. And the lucky student chosen to sing the national anthem at Commencement will also receive an iPad mini. More details about where to watch the audition videos and the voting process will be coming soon here on the blog, so stay tuned! Last year's winner was DeShayla Avant, a 2012 graduate with her bachelor's degree in Paralegal Studies. Our 2011 Peirce Idol was Morraye Berrios, a Business Administration student. And in 2010, Raymond DeShields, a married father of three pursuing his degree in Business Administration, took the stage. But who will it be this year? Will it be you? Set up your audition to find out!